Now here’s some really good news. 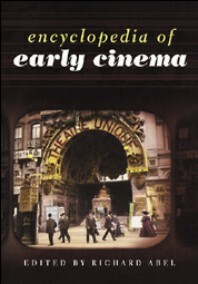 The Encyclopedia of Early Cinema is now available in paperback. Originally published in 2005, the hardback is priced at a challenging £128.25. But such has been the success of the book, edited by Richard Abel, that publishers Routledge have assented to the publication of a paperback edition, at the considerably less eye-watering price (from Amazon) of £28.49 ($54.83 in the USA) – and that’s 832 pages you get for your money. Archive sources, sites and policies; Audiences/spectatorship; Cultural contexts (e.g.comic strips, department stores, magicians, world’s fairs); Developments in film style (colour, lighting, set design etc. ); Film companies; Industry developments; Key figures; Kinds of film; Law and the cinema; Multiple-reel films; National cinemas; Social contexts (e.g. colonialism, modernity, urbanisation); Technology and material; and Trade press. It is a particularly well-ordered reference work. Entries feature extensive cross-referencing (through use of bold text) and the longer entries come with a further reading list. There are See also references to related entries, a useful classified guide to the thematic entries, a lengthly bibliography and a thorough index. It is clearly laid out and handsomely illustrated. It is also properly international in scope, covering not just the USA and major Western countries but filmmaking in Africa, Asia, the Middle East and South and Central America. It works both for those who require plain information efficiently set out, and those who need guides to critical concepts. Not sure what the ‘Cinema of attractions’ means? Tom Gunning tells you all you need to know in just over two pages. Need to know about ‘Staging and depth’? Ben Brewster comes to the rescue. But dip into the book and you come across such gems of succinct and practical information – cameras, education, advertising, intermittent movement, biblical films, projectionists, phantom train rides, illustrated lectures, Shakespeare, fairs and fairgrounds, programme formats, sound effects, and so many more. Some of the entries are mini-classics – I particularly recommend Nick Hiley’s entry on Great Britain, a model national film history in miniature. And then there are the people. 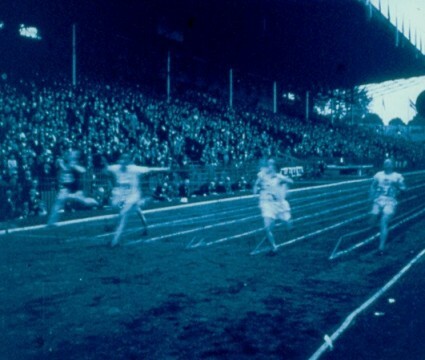 Just to pick some names at random, you’ll find W. Stephen Bush, Charles Urban, Evgenii Bauer, Mauritz Stiller, Tom Mix, Max Mack, Komada Koyo, Cherry Kearton, Eleonora Duse, Adolph Zukor and King Baggot. Likewise the film companies: Clarendon, Lubin, Khanzhonkov, Milano, SCAGL, Messter, Phalke, Hollandia, Nikkatsu, Nordisk, Saturn, Kosmofilm, Hispano, even the Salvation Army (in Australia). This is such a useful book – indeed I would have struggled with quite few Bioscope entries had I not got a copy by my side. The paperback edition updates the 2005 edition without radically altering it, because the editor was obliged to keep as far as possible to the original typesetting. So there have been minor amendments (small errors of fact, dates, new snippets of information), some additions to the Further Reading lists, and the bibliography at the back has grown considerably. Abel notes the absence of a list of DVDs and of web resources, which is a shame, but it is a minor loss. Though the book does not have every single person nor every single film company from the early cinema period, it has most of those you might possibly want to look up. You might also quibble at the restriction to the early cinema period and yearn for the encyclopedia of silent film overall. Now that would be a good idea – but the early cinema period has been well established as a distinctive period in its own right by two or three decades of dedicated research and critical investigation. The Encyclopedia of Early Cinema crowns the achievement. This is amazing news! I don’t know how many times I’ve agonized over forking out the £128 for the hardback edition, and seeing the book itself at the Bfi library really doesn’t help matters. Didn’t even have to think twice about going for the paperback edition! Worth noting that bookdepository.co.uk has the book marginally cheaper than amazon at £26.93 with worldwide shipping included.